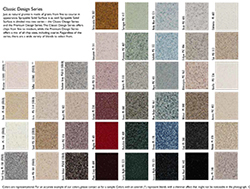 If you’re looking to upgrade your shower, tub, or wall surround with an extra splash of colour, take a look at the colour charts below! 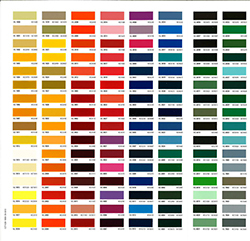 Choose from any of the RAL Gelcoat or Solid Surface colours. Or, bring us a paint sample, and we can likely colour match that too! 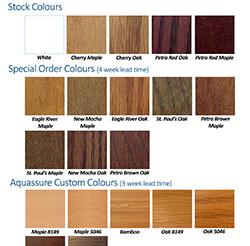 The colour chart below shows the various colour options you can upgrade your cabinet base fronts to.